PA Sloan Garden Patio and Paving provide a professional yet highly personalised service covering all aspects of residential and commercial gardening – from clearances and tidies to ongoing maintenance. Established since 1967 and trading over 50 years within North Somerset, PA Sloan Garden Patio and Paving are a professional, friendly team who take a great deal of pride and satisfaction from their work. We are proud to boast our continued success through three generations of the family, with thousands of satisfied customers. PA Sloan Garden Patio and Paving pride themselves on listening to what you want and helping you bring your ideas to life by a highly experienced and skilful workforce. PA Sloan Garden Patio and Paving can help with everything from the driveway to the back fence. If you’ve moved into a brand new house, they can help you create a garden that compliments it. If you don’t like the garden you’ve inherited, we can clear it and start from scratch. 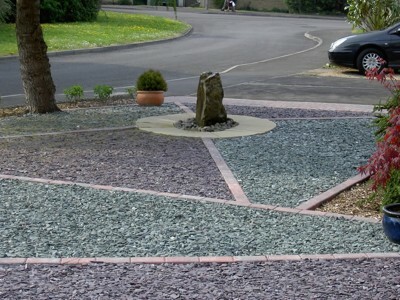 PA Sloan Garden Patio and Paving aim is to supply you with the best possible service within budget and to finish all work undertaken within the agreed time frames. Each and every customer service starts with a free, no obligation home or site consultation. PA Sloan Garden Patio and Paving know price is important, which is why they provide fixed price quotations, not estimates! All clients are provided with a full description of work to be carried out prior to commencement, this forms part of your guarantee. All work is carried out to the highest quality and specifications, all the products that are used are approved materials backed up by our guarantee policy. Both our customers and employees are covered by our liability insurance. PA Sloan Garden Patio and Paving for all your garden, driveways, patio, paving, pergolas or fencing. Call 01934 820434, mobile 07813 949456 or Email for your FREE home visit within Somerset. Serving all your garden needs for three generations. "Landscape gardeners in Weston super Mare Somerset, trading for over 50 years"